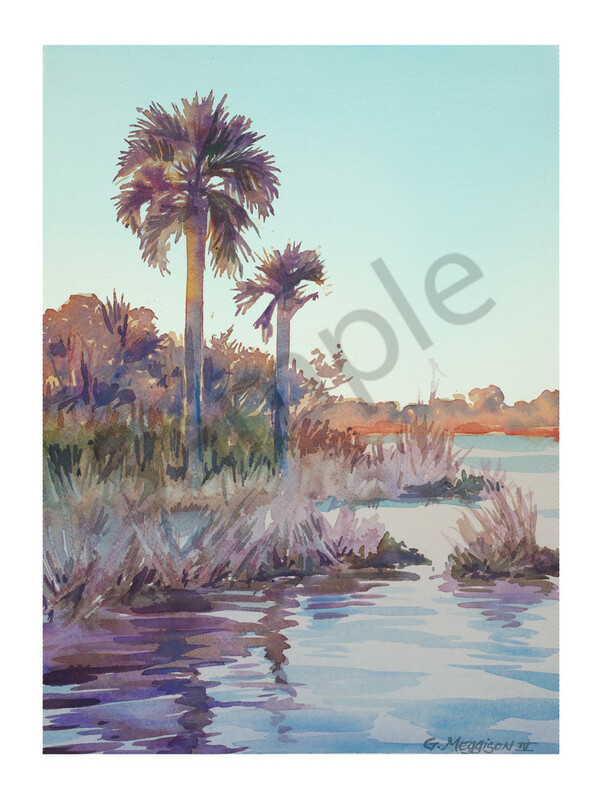 Sunrise at Guana is a plein air 16"x12" on 140 lb. Arches cold press watercolor paper. ( I recommend printing on Fine Art Paper. See the "Wall Preview" option below to select your room type, size preference and wall color for a better view relative to the art).